Pioneers in the industry, we offer expulsion fuse, ht drop out fuse element, hrc fuse, capacitor protection fuse, kit kat fuse and ht drop out fuse from India. In almost all the applications, the capacitor whether high voltage or low voltage can be safely protected with Expulsion Fuse. (Non- Current limiting) Individual capacitor expulsion fuses are used to protect against case bursting in the event of a failure within a capacitor by reducing the arc energy within a faulty capacitor to a value which can be with stood by the capacitor tank. Overloads due to Harmonics and voltage Fluctuations. GEW expulsion Fuses are manufactured in accordance with the best manufacturing practices and strict quality control is exercised at every stage of manufacture. These are manufactured and tested as per IS- 9385 (Part 2) of 1980. Packaging Details: 1 box containing 10 nos. of same rating. 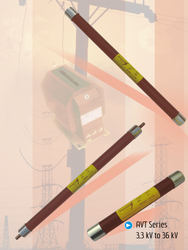 Let-through energy value of L&T’s fuse is extremely low; it leads to optimal selectivity for the cable size & downstream protection devices. Low power loss also leaded to low running cost & minimum heating. Acknowledged in the market as the reputed firm, we are offering a wide array of Kit Kat Fuse. 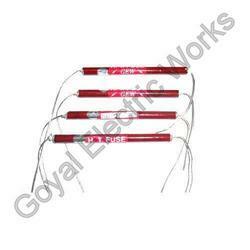 This fuse is widely installed in electronic appliances to protect electric devices. 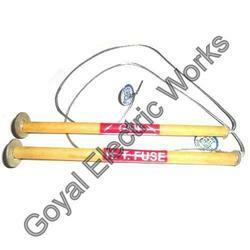 Offered fuse is manufactured by our dependable vendors using quality assured material. In order for meeting ever-evolving requirements of our esteemed clients, we are presenting this fuse in varied specifications and at competitive prices. 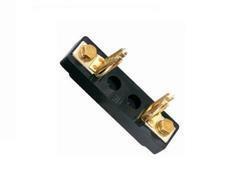 Our company is providing a highly reliable range of HT Drop Out Fuse. This product is a necessary element of power supply design, which serves to protect both the user and the appliance. 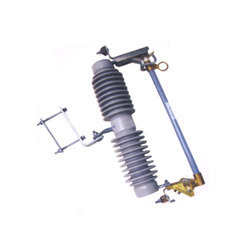 The offered product is designed to use as a protection device in medium voltage switch-gear equipment against over-current and short circuits and also isolates distribution transformers from the feeder circuit in case of an internal fault. 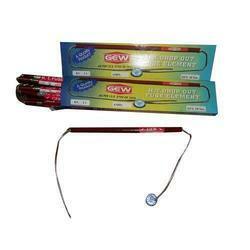 We have also resistance tested and calibration tested our offered product. It is used to protect power distribution equipment. We provide our customers, a range of PT/VT Fuse. Suitable for circuit protection of potential transformers and voltage transformers, these PT fuses and AVT Fuses are current limiting fuses with high interruption rating. 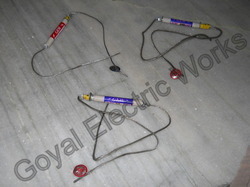 These are used for primary winding protection of potential transformers . 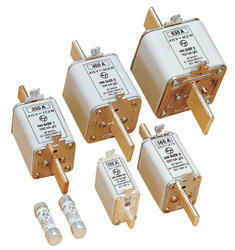 Looking for Electrical Fuses ?